We ordered these in October for Christmas and got them in last week. Gotta love it. So we've decided to put them on sale to make room for the parts we ordered in January for this Spring. 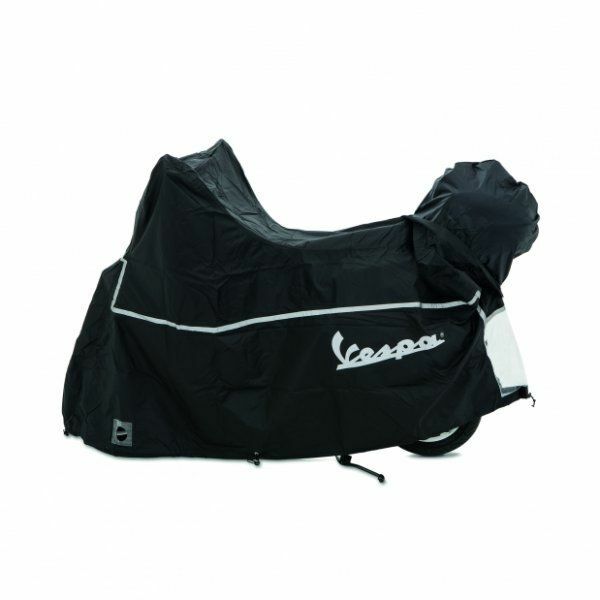 Genuine Vespa Scooter Cover for Vespa GTS, GTV and GT. fits Vespa with or without windshield and topcase. This is a Genuine Vespa Accessory in original Piaggio Packaging. • fits for all type of windshield (high/low) from the Flyscreen to the Large Windshield. • transparent window for license plate.